Remember to Register with us when you’ve finished your library! 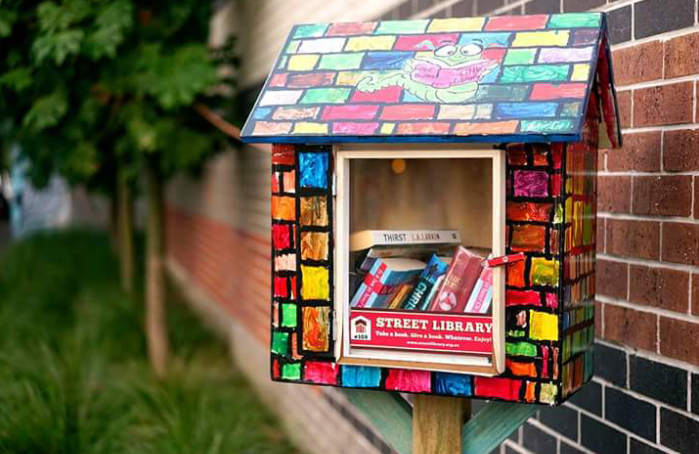 Painting your Street Library gives a personal touch to something that will be shared by the community. Often, Street Librarians will use colourful paints and custom features in order to differentiate their work from other librarians, in this way, each library is different! 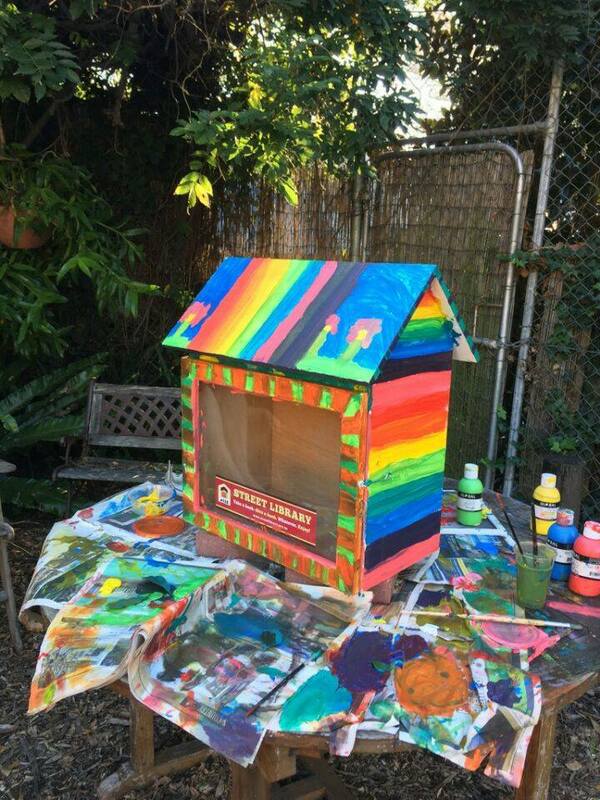 It doesn’t matter if you’re a master artist or kindergarten finger-painter, anybody can paint a Street Library! 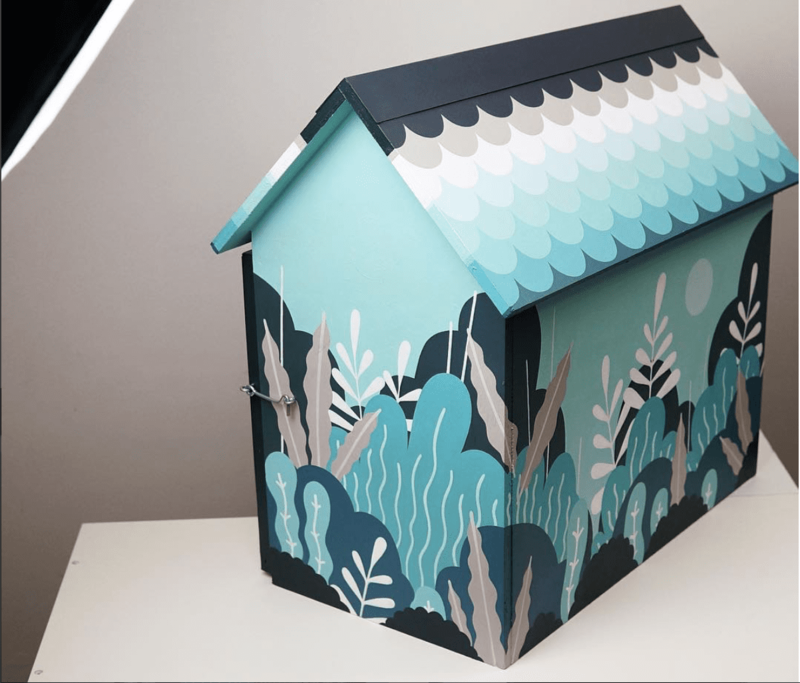 This short guide will help you paint, customise and maintain your project, making sure that it looks good and keeps looking so all year round. 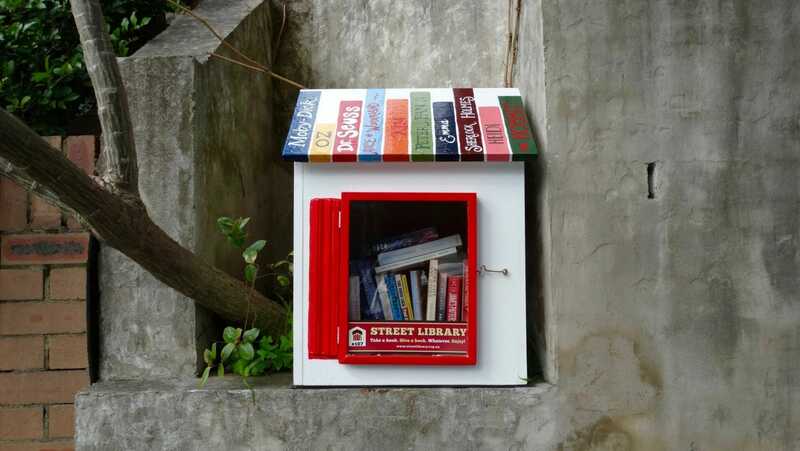 Do you want your Street Library to stand out even more? Try some of our Accessories! Make sure the surface is clean – do this using a cloth to wipe any dirt and dust off. Sand the surface lightly using high grit sand-paper (220 grit) – Make sure you wipe away any sawdust after you’ve finished. This is to make sure that the paint sticks to the wood surface better. Always use high quality brands; these include the likes of Dulux, Taubmans and Bristol. Remember to make sure the paint has dried before you put the books in! Pay close attention to the edge of each ply. These edges may need a couple of more coats. If you’ve done all the previous steps correctly then there should be very little maintenance at all! If you however your project starts to fade overtime, just repaint using exterior paint! You can even change your look, just make sure that you take a photo and send it over to so we can share your design with other librarians. Well done, you’ve just completed painting your library!